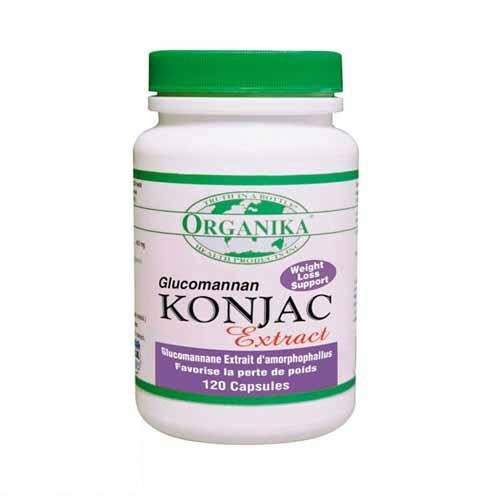 Glucomannan Konjac root is best known for its ability to expand up to 17 times in size, causing a feeling of fullness which is helpful in any weight loss program, to prevent overeating. Widely known for its capability to expand up to 17 times in size, Glucomannan Konjac root creates a feeling of fullness which aids in any weight loss program to prevent overeating. This occurs by quickly emoting fats from the system, stopping the fats from being soaked up into the body. In addition, this stops the escalation of blood cholesterol levels and regulates blood sugar levels. For anyone who wants to uphold a healthy lifestyle while ridding themselves of extra pounds, should use the safe and natural supplement Konjac Root. Directions Take 1 or 2 capsules 30 minutes before meals with a glass of water. Do no exceed 6 capsules per day.